created by your instructor or even uploaded by yourself! Gowell launched the Global Assessment CertificateTM (GAC) program, the most widely-recognized university preparation program in the world and the flagship international program of the U.S. ACTs. 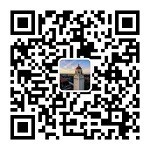 The ACT is the provider of the most popular university entrance exam in the U.S.
Scan the QR code to our official WeChat account and receive regular updates, insights and opinions on overseas studies.